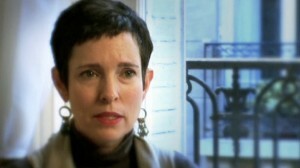 Anne Lipscomb is a former award-winning public relations manager who developed multiple chemical sensitivity in 1993. She became one of only a handful of people in the state of Washington to receive workers’ compensation for illness related to sick-building syndrome. Born in Texas, Anne spent most of her childhood in Africa and traveling in other parts of the world with her parents. She lived as an exchange student in India and France. After receiving her bachelor’s degree from Princeton, she decided to settle down in Seattle, where she earned her master’s degree. With her career on an upward path, and surrounded by friends and a loving husband, she seemed to have it all. When her company moved to a brand new state-of-the-art office building, little did she realize that something so exciting and positive would soon change her life forever. From her first day in the new, modern office building, her health and life quickly began to disintegrate, washing away like a river of losses and severe limitations. She and at least 60 other staff members developed symptoms related to a health epidemic that is not yet recognized or addressed by mainstream medicine. As with most things in life, some seem to recover while others did not. Having been mostly housebound now for over 16 years, and avoiding contact with most everyday chemicals, Anne has embarked on a quest, navigating the maze of both mainstream and alternative healthcare to find treatments which have helped improve her condition significantly. During the journey, Anne realized that her response to the misfortune is the only thing she could really control. These life experiences have taken her on an inward journey that continues to enrich her life in surprising ways and leads her to see the ultimate paradox: that the new physical limitations placed on her life have expanded her in so many ways. Through the process, she has become someone she would not have been if she had remained healthy. The process of dealing with the illness has helped shape Anne into a more creative person. As a result, she has become an author and wrote her first book, Poisoned by Pollution. The book has not only been a way of narrating that forever changing journey toward living a better life, but its goal is to help raise awareness about chemical-related illnesses and about what many believe to be one of the biggest health problems of our time. Anne would like to share with others the opportunities she’s found hidden within misfortune, and Poisoned by Pollution is one woman’s story of how the imagination finally comes to triumph over physical limitations. Even in tides of adversity, and despite sometimes overwhelming seas of despair, there is the hope and resilience of the human spirit, manifesting itself anew each day. Anne’s book is a reminder of this and is a call to be aware of how lives can be turned upside down by illness. • How to transcend the tragic effects of illness and triumph over adversity even when there is no immediate cure or complete solution. • Ways that people, who are coping with long term illness or other forms of adversity, can discover a better quality of life. • How to cope with the challenges that chronic illness can impose on relationships. • How to deal with the “it’s all in your head” attitude about such a sickness from friends, family, and other people you meet. • How chemicals are increasingly affecting public health. • Steps people can take to minimize their exposure to chemicals. • Little-known alternative health treatments that are now available. • The difficulties in diagnosing sick-building syndrome. • Expanding the definition of ‘healing’ to one that encompasses body, mind, and spirit. The book is not just a re-telling of Anne’s illness. It is also the story of how she came to be this new person with a uniquely expanded expression of her soul, and finally, as a result, how she was made into a writer of her own life. Anne hopes that her writing and the information provided on her website will help you discover some of these possibilities within your own life, whether you struggle with MCS, another illness, or other kinds of misfortune.